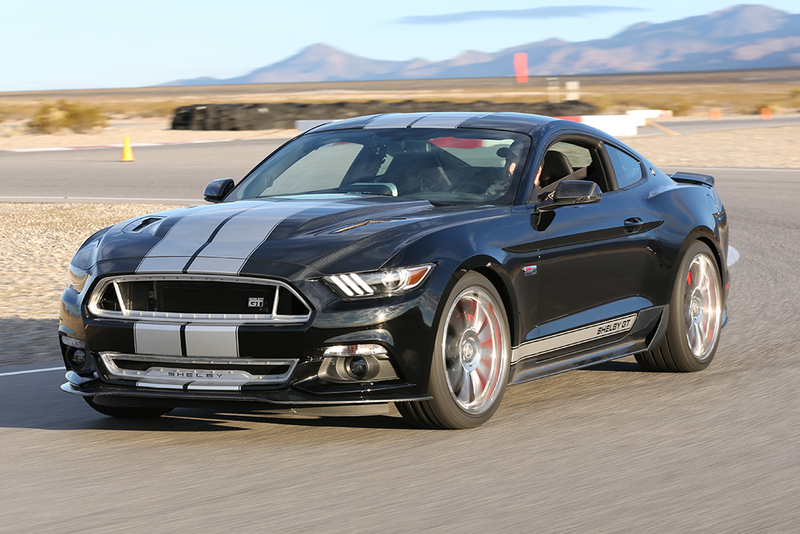 Shelby American delivered their 2015 Shelby GT. 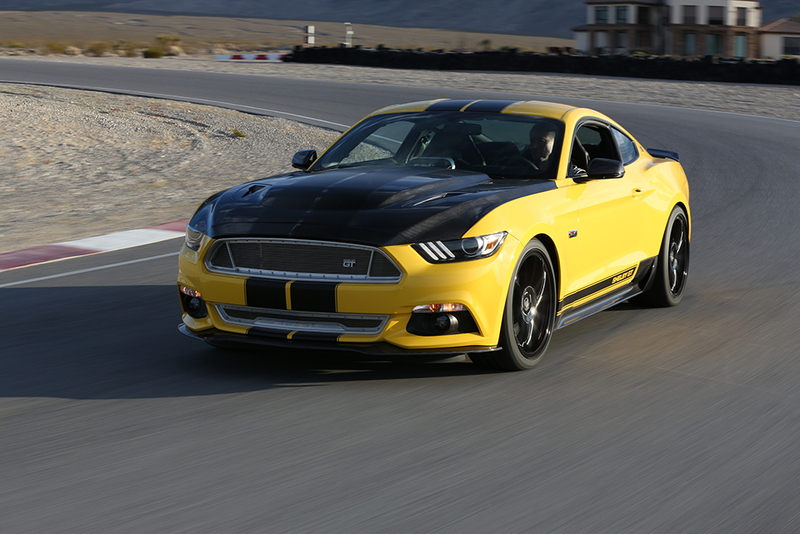 Despite the all-wrong-and-ugly front grille it delivers a lot of goodies too. 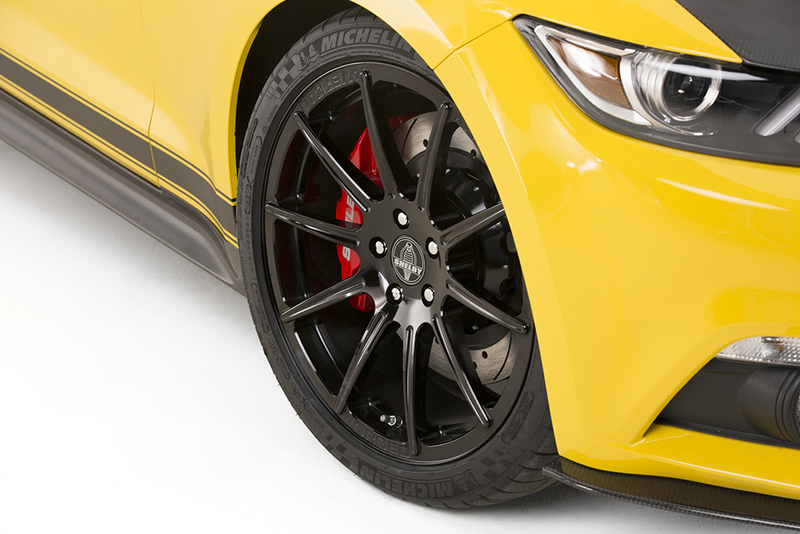 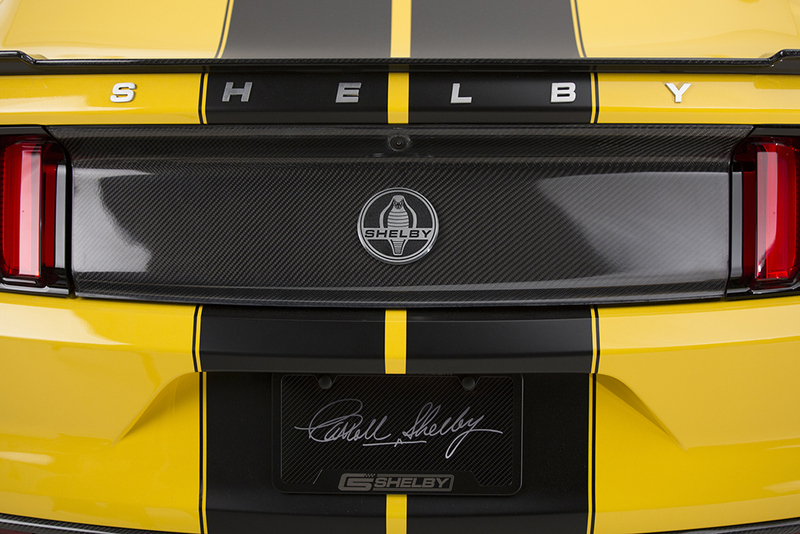 New for 2015 are many Shelby specific and designed parts made of light weight carbon fiber. 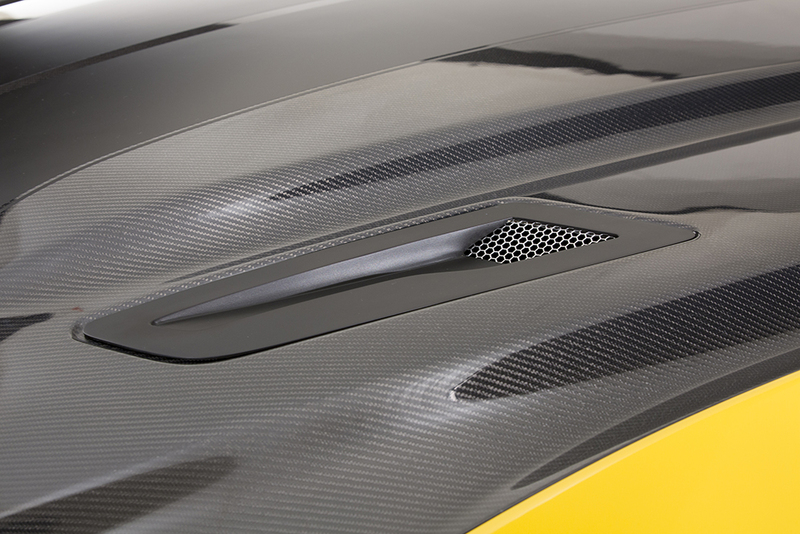 The entire hood, rockers, splitter and rear defuser are made of this lightweight yet strong material. 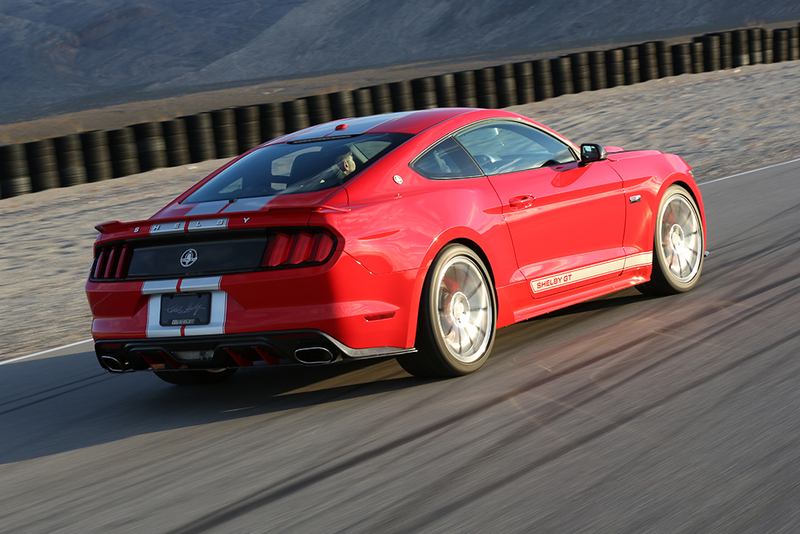 The Supercharged 5.0 liter Coyote engine is tuned to 625 emissions legal horse power. 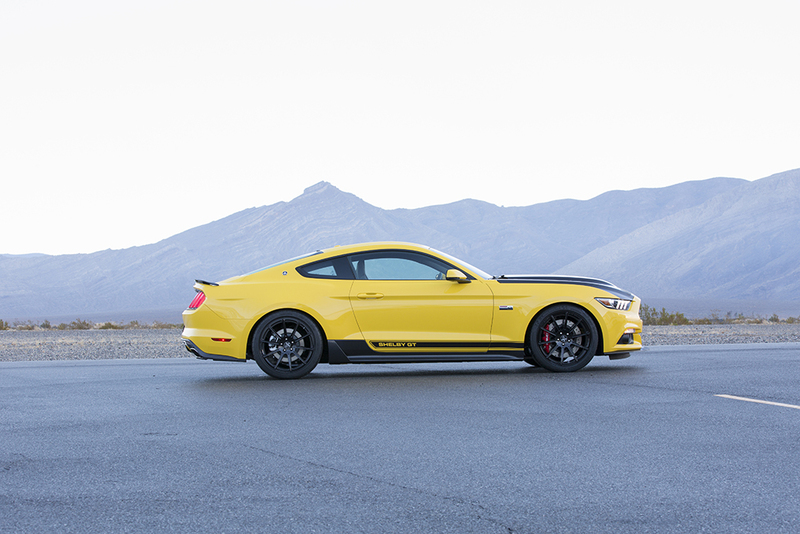 Shelby and Ford Racing have developed a competition suspension built to capitalize on the new independent rear suspension which is complemented by Shelby specific designed forged Weld wheels and Michelin tires to help plant the power to the pavement. 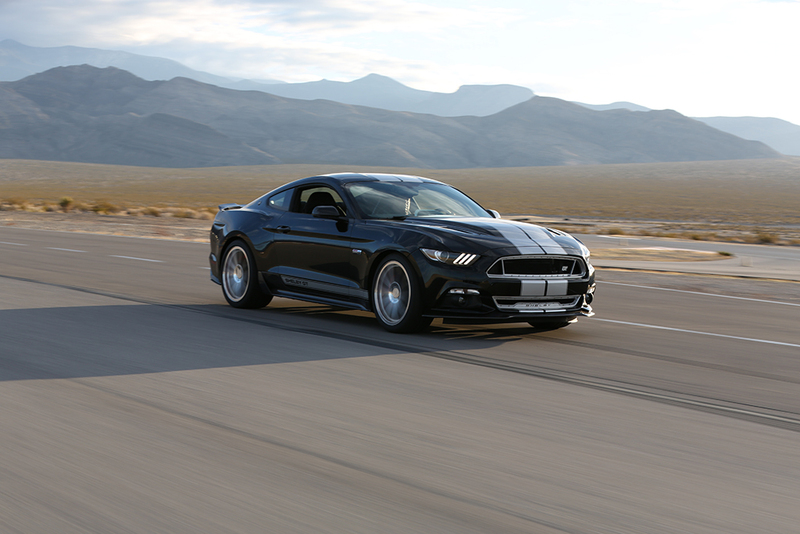 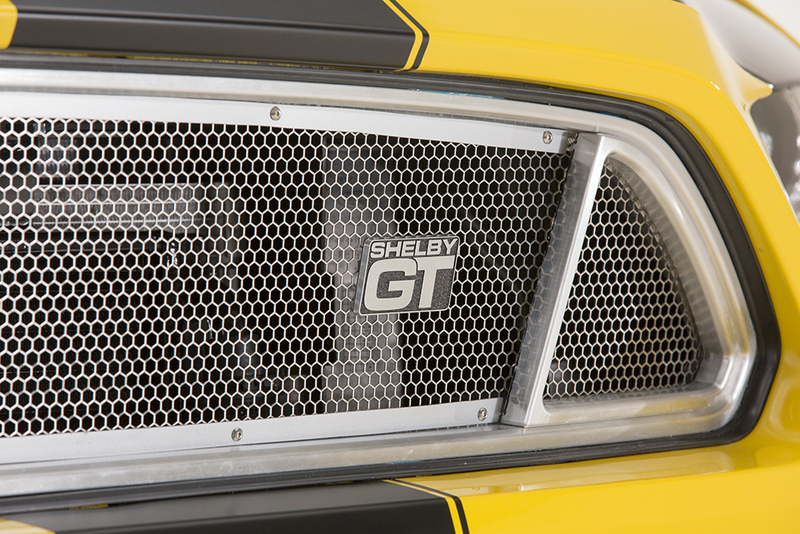 Shelby exclusive front grilles are made entirely out of billet aluminum and highlight the already aggressive nose. 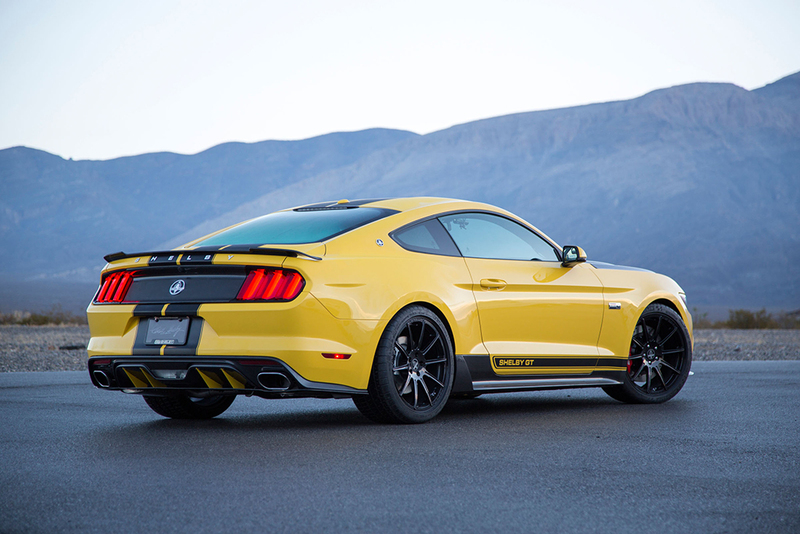 If all of this isn’t enough our most demanding enthusiasts can choose from a long list of options including a supercharger that boosts to over 700 horsepower, adjustable suspension, upgraded rear brakes, under hood dress up items, and interior upgrades.